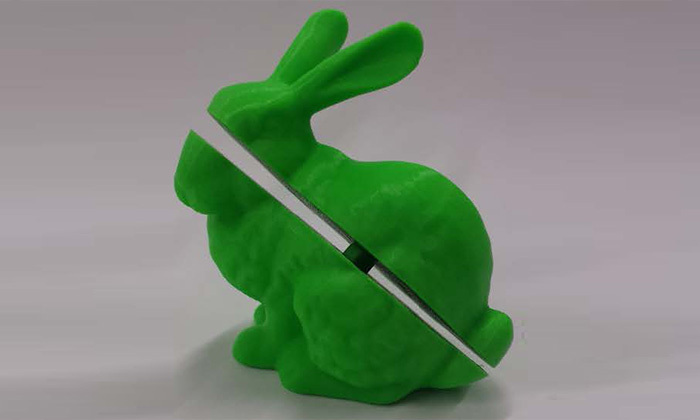 By printing this bunny in two pieces, the need for printing and later removing support structures has been eliminated. Two undergraduate students at the University of Texas at Austin and their faculty co-authors have won a best paper award from the Association for Computing Machinery. They presented their paper, which focuses on making 3D printing more efficient, at the Genetic and Evolutionary Computation Conference on July 18. Their paper was one of two nominated in the Real World Applications category. 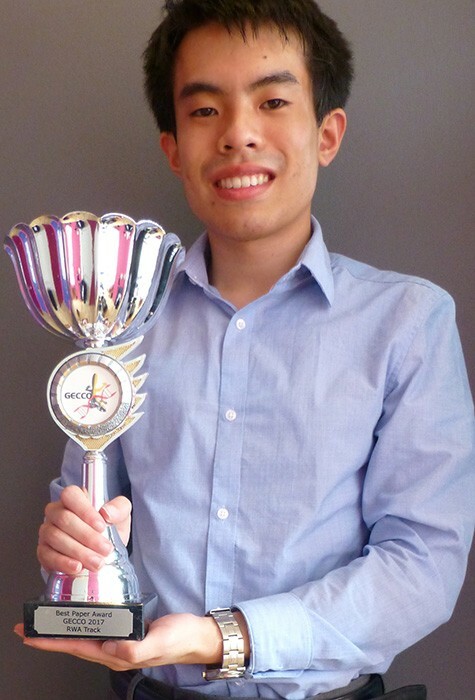 Eric Yu holds the best paper award, which he and his co-authors won at GECCO 2017. Eric Yu and Jinseok Yeom, students in UT Austin's Freshman Research Initiative (FRI), set out to solve a problem with one of the most popular and affordable types of 3D printers. FRI offers first- and second-year students in UT Austin's College of Natural Sciences the opportunity to engage in authentic research experiences while being supported and mentored by faculty and graduate students. These printers, which cost just a few hundred dollars, use a technology called fused deposition modelling (FDM), in which objects are built up layer by layer by heating plastic filaments. This allows you to build almost any small object you can imagine: a birdhouse, a statue of Abraham Lincoln, a bunny rabbit. But these printers have a big drawback: any part of the object that hangs out away from the rest, say a bunny's ears, tends to sag before the plastic cools and stiffens. One way around this sagging is to also build support structures under anything that juts out, like columns holding up a porch roof. But this means a lot of wasted material and extra time cutting off the supports and sanding down the finished object. Yu, Yeom and their co-authors took a different approach. They realized that if you sliced the object into two or more pieces, each piece could be built with a minimum of overhangs. For example, you could slice a bunny up so that the ears are printed pointing straight up or lying flat. Then the separate pieces could be glued together to make the final object—with little to no support material to remove and much less sanding and polishing of the final object. The question then becomes, how do you optimize the "decomposition" of the object—in other words, how can you cut up the object with the fewest pieces and the least volume of support structures? That's the research problem that Cem Tutum, the research educator for the Computational Design research stream of the FRI, assigned to Yu and Yeom. The students spent a year designing software that, for a given 3D shape, uses an evolutionary process to generate many different decompositions—or ways to divide up the object for printing—and then test them to find an optimal solution. Their algorithm, which takes about 10 to 20 minutes to run on a desktop PC, tests hundreds of thousands of possible decompositions and then returns an optimal solution. 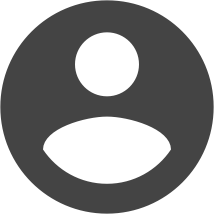 Users don't have to actually print prototypes to test, they can do all the testing virtually. 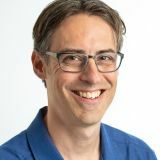 The other co-authors on the paper, titled Evolutionary Decomposition for 3D Printing, are faculty members Etienne Vouga and Risto Miikkulainen.